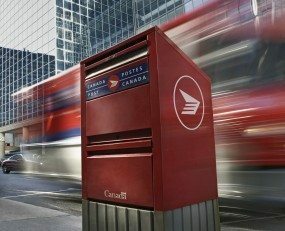 The Canadian Union of Postal Workers (CUPW) has expanded strikes across the country closing Canada’s largest processing centre in Toronto. The areas affected in New Brunswick include Fredericton, St. Stephen, Woodstock, Miramichi, Acadie Bathurst, Campbellton and Edmunston. In Ontario strike action has expanded in Chatham, Clinton, Georgetown, Milton, Orangeville, Port Hope, Stratford, Strathroy, Tillsonburg, Wingham and Woodstock. Quebec City is also subject to the strikes. The CUPW have also shut down Canada’s largest processing centre in Toronto for a second time in three weeks. Having ceased Canada Pot’s operations in over 100 communities across Canada, the union shows no sign in letting up with strikes escalating in many areas. The halt in operations in Toronto adds to the backlog created from strikes in October resulting in large delays for customers. Meanwhile, strikes have ended for the Ontario region in Scarborough, Pickering, London, Barrie, Sarnia, Amherstburg, Delhi, St. Thomas and Owen Sound, as well as in the Saguenay Lac St-Jean, Hautes-Laurentides and Mont-Joli regions of Quebec.